In order to manifest your goals using the Law of Attraction, you have to be authentic—both internally and externally. This means you need to figure out what you really want, and you need to find a way to really be yourself around others. 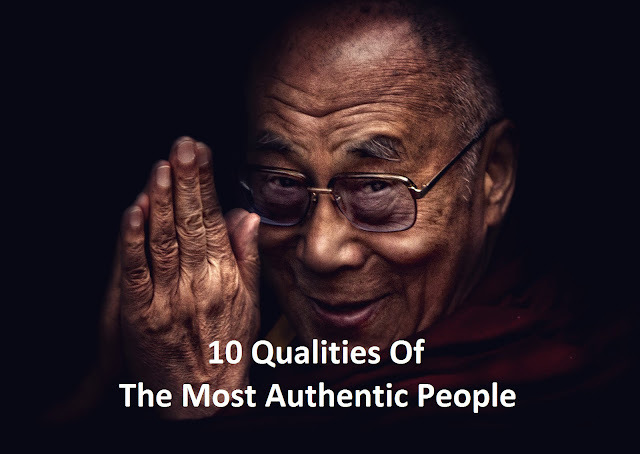 But how do you know when you’re being authentic, and what traits do you need to cultivate in order to reach this state? It’s not possible to become authentic or interact with others in a genuine way if you’re not willing to consider who you really are—including the parts you don’t like quite as much. By engaging in regular self-reflection (whether through journaling or quiet contemplation), you figure out more about your true identity and real to live in a way that’s congruent with that identity. If you have a healthy ego, you have the right level of confidence—you feel secure in yourself, and that level of security helps you to speak your mind and make your preferences clear. However, authentic people are not arrogant, as excessive displays of confidence typically come from deep-rooted and unacknowledged insecurities. To develop a healthy ego, make sure you regularly challenge negative self-talk and use affirmations to replace limiting beliefs. Disingenuous people focus exclusively on their immediate desires, which means they’re willing to manipulate others or discard their long-term goals in order to attain instant gratification. When you live an authentic life, you deliberately look further into the future—your focus is always on success in the longer term and on what hard work can achieve. Being authentic requires starting out with a strong, solid sense of character. In other words, you only say what you really mean, you don’t make promises that you can’t or won’t keep, and you maintain integrity when dealing with others (whether they’re colleagues or loved ones). Other people instinctively will trust you in response, and will enjoy your ability to laugh at yourself when appropriate. When you know exactly who you are and what you want from the world, you naturally become a visionary. There’s an openness to your thinking and your behaviors that helps you add value to all your relationships, and to your workplace. When you become this authentic, you’re also skilled at helping other people identify and realize their highest goals. If you work on your listening skills, you’re bound to become more authentic in response. Attentively listening to others helps you develop your empathy, and gives you lots of great opportunities to learn. In addition, being the aforementioned security that comes with knowing who you are means you’re less easily threatened by opposing views and ideas—so you become more interested in hearing what people want to express. If you make a concentrated effort to practice open communication on a daily basis, you’ll immediately be living a more authentic life. Part of transparency is a willingness to admit your mistakes—just focus on what you’ve learned and can do differently, rather than on feeling ashamed or down on yourself. You’ll also foster better relationships with transparency, as others will feel close to you and will likely practice more open communication in response. In contrast, if you’re inauthentic then you’ll be defensive, sensitive to criticism, and easily offended. Having a solid sense of who you are tends to develop alongside a non-judgmental attitude towards others. You don’t need to view them as “beneath you” in order to protect a fragile self-concept, even if they disagree with you. Meanwhile, you’re consistent in how you appear to others, because you don’t feel the need to be what they want—you feel good just being yourself, and you stick to your principles rather than swaying in the wake of other people’s preferences. This trait of authentic people helps to explain why the most genuine individuals are often the ones who get the best results at work and at home. Specifically, most careers and familial relationships require working as part of a team and collaborating with those who have different skills and perspectives. When you are comfortable with your core identity, you can be flexible and resentment-free, feeling no need to compete with others in the team or to mark yourself as superior. Finally, studies show that the most authentic people are able to fully live in the present in a thoughtful, mindful way. This is because they have fewer worries about their ability to get what they want from life, and they’re not bogged down by negative obsessions with the past. A daily meditation practice can help you to cultivate this mindset and therefore become more authentic. As you become more genuine internally and externally, you know you’re approaching your days in a responsible, thorough way—so there’s no need to fear the future or feel bad about the past.